To inform students about opportunities for internships and professional careers in the private and public sectors concerned with national and global security. Students who complete the certificate will be prepared to use their knowledge and skills in government, the private sector, NGOs, and academia, and in fields such as international relations, diplomacy, politics, business, law, health, finance, and media. This certificate will provide students with an important credential to present to prospective employers. Although current university rules preclude citation of the Certificate on their official transcripts, students can add this credential to their résumés. 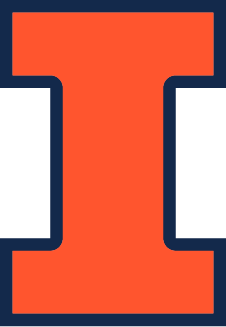 ACDIS will provide a printed document certifying completion of the certificate requirements once students are ready to graduate from the University of Illinois. Students participating in the ACDIS certificate program will also be eligible for scholarship opportunities from ACDIS to support internships and research in the United States and abroad with a national and global security focus. Students must complete 15 credit hours in courses in global security from the Certificate – Full Course List, Excel Version ). Students must complete GLBL/NPRE 483 Seminar in Security (1 credit) or GLBL 199 Section S (0 credit) as the required core class for the certificate. GLBL/NPRE 483 and GLBL 199 Section S may count as either a social science/humanities course or a natural/science/engineering/technology course. All courses to be applied to the Certificate must be taken for full credit; they cannot be taken pass/fail or audited. Certificate courses may also be applied to majors. All original course requirements apply, though all newly approved certificate courses count. Students who have chosen to complete the certificate by taking 12 credits and attending 8 talks will have until May 2017 to complete the 8 talks component of the track. Starting August 2017, ACDIS will no longer designate any talks to fulfill ACDIS requirements. Classes selected for the certificate include a component that describes, examines, and/or presents security issues through the lenses of natural sciences/engineering and/or social sciences/humanities. Students may petition to have a course that is not on the approved list added to their certificate plan of study, provided that students justify in writing the security components of that course. The petition must be made prior to taking the class. An official transcript (not a copy) from the Office of the Registrar, either paper or digital. A letter will be sent to the student showing the ACDIS address and contact for the transcript. A current address for certificate recipient. Students have 90 days after the final transcript is available to submit it to ACDIS. Students must be in good standing and currently enrolled at the University of Illinois in order to register for the program. Students must meet with the ACDIS Director or Associate Director for an advising appointment prior to the completion of the required coursework. Please contact Susan Forsyth to schedule an appointment: seforsyt@spam-is-bad-5cb954b7a9264.illinois.edu; 217-333-7086. Also check out our For Students section to find more information on internships, programs, graduate student policies, and student publications.